Drivers who are shopping for a new SUV will find what they are looking for when they browse the selection of 2018 GMC SUVs at their local GMC dealer, Carl Black Roswell. As your local GMC dealership, we help drivers choose the right SUV or SUV crossover that best suits their lifestyle. Crossovers are excellent choices for family drivers who need to run errands, commute daily, and do school and practice drop-offs. GMC crossovers are not just for families, of course. They perform just as well in the city or on the highway for trips or work days as they do in the drop-off line at school and sport events. Crossovers filled a spot in the SUV model that emerged from a demand for an SUV that was a little more fuel efficient than their larger predecessors but was also still able to give a large amount of flexible cargo and passenger space. Add in a nice towing ability and crossovers became a favorite SUV of many families as well as city drivers, and those looking for a great vehicle to accompany them on their weekend recreational outings. 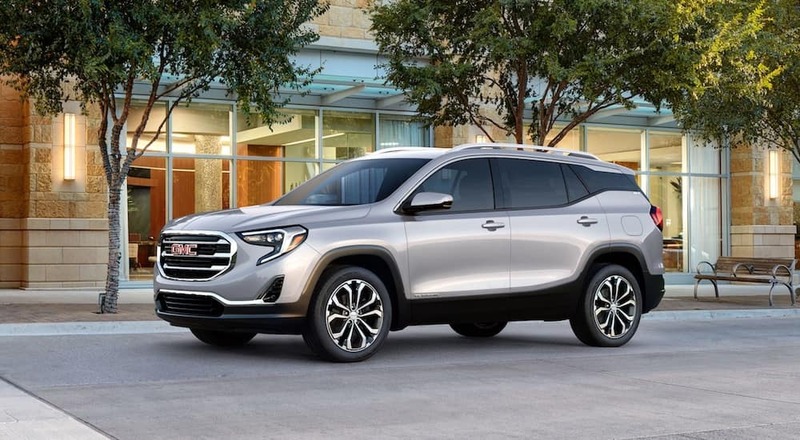 GMC crossovers are a great example of the utmost in crossovers with up to the minute technology, great safety features, and generously flexible cargo and passenger room. If you’re looking for a versatile vehicle from a brand you can trust, you’ll find it in a GMC SUV from Carl Black Roswell. GMC offers a two great crossovers for the 2018 model year – the 2018 GMC Terrain and the 2018 GMC Acadia. Both of these crossovers are extremely popular among drivers and critics, let’s take a look at why. The 2018 GMC Terrain is a crossover SUV that offers great cargo space and has rear and front seats that fold flat for the most cargo space available. This is exactly the kind of features that drivers are looking for when they shop for a crossover today. Safety, modern tech capabilities, and flexible and roomy cargo and passengers spaces make this SUV crossover an excellent choice among families. Incredibly advanced safety features including Lane Change Alert with Side Blind Zone Alert, Rear Cross Traffic Alert, and Rear Park Assist. An airbag system that includes side, driver, and front passenger placements, as well as seat-mounted, curtain, and a passenger sensing system, to help the airbag system work to its highest capability. Onstar Basic 5 year, Onstar 6 month guidance plan, as well as On Sta 4G LTE with a built-in Wi-Fi hotspot. Additional driver awareness features give drivers the confidence they need to be the best drivers they can be on the road. When it comes to performance, the Acadia crossover performs well with its 6-speed automatic transmission, front-wheel drive, and 2.5L DOHC 4-cylinder and stop/start technology round out the nice performance features of the Acadia. Technology on board allows for great navigation, entertainment, and driver comfort controls to be easily reached at the fingertips. The GMC Acadia crossover features a 7-inch touchscreen with the exclusive GMC infotainment system, AMFM radio and AUX and Bluetooth ports. Apple CarPlay and Android Auto compatibility allow drivers to access music, save favorite navigation spots, and send and receive text messages hands-free. GMC has always been a star player in the SUV market. When drivers are looking to buy a new or a used GMC SUV, they should check out their local dealership to see the latest models, wide selection of vehicles available in their inventory, and the latest deals and incentives that might be available. 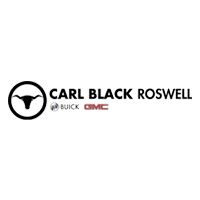 Carl Black Roswell is your local GMC dealer who has the best inventory around. You can view the very latest models of the Terrain and the Acadia at Carl Black Roswell and learn more about why these crossovers are such a great choice for those looking for a flexible and high-performance, and efficient SUV. Once you find your perfect GMC crossover, the expert financing team at Carl Black Roswell will help you secure the financing, whether it be a lease or loan, that best fits your budget, payment needs, downpayment, and monthly commitment goals. Our finance team can also help you calculate the total cost of owning your vehicle, including insurance and regular maintenance so that you can be sure the financial commitment you are making is right for you. Once you purchase your vehicle from us, we’ll be happy to help you schedule regular maintenance to keep your vehicle in the best possible running condition and give it the longest life possible. If you ever find your GMC SUV in need of repair, Carl Black Roswell can help you repair it with expert technicians who are trained specifically in GMC models, and who will use only factory and manufacturer intended GMC parts. Check us out online and then stop by our showroom in person today so we can help you get behind the wheel of your favorite GMC vehicle as soon as possible. Carl Black Roswell – Your GMC Dealer! At Carl Black Roswell, we are passionate about the GMC SUVs we have in stock and are eager to help you find the right fit. From your first tour of our inventory to post-purchase repairs and maintenance, we will be there for all of your automotive needs. But first, you must choose which SUV is right for you. So here’s a closer look at the GMC SUVs that drivers will be able to choose from in 2018 at their local, reputable, and trustworthy dealership, Carl Black Roswell.